Regardless of the chosen instrument, musical theoretical knowledge is very important in understanding music. Music Skills Development Workshop aims to help the student in terms of theoretical musical knowledge, so they can play an instrument with a base of information in accordance with their musical level. 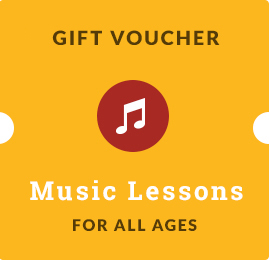 The workshops are held by professors specialized in musical theory and take place separately for adults and children into levels: beginners, intermediate, advanced. The workshops are interactive designed in such a way that every student have the opportunity to ask questions and clarify his knowledge. At these workshops are presented basic notions used in music in terms of rhythmic and melodic-harmonic agog terms, phrasing, recognition or reproduction of sound, intervals and agreements, dictation, solfeggio, tonalities, elements of musical forms and harmony. At the workshops of music history will be studied music history periodization, essential notions about the greatest composers, musical auditions comparative most interesting examples. “I know how hard it is to have a school of music as I had at one time a music school, I know how hard it is to hold such a project, I know how hard it is to work with children, and especially parents and that’s why I really appreciate what you do here at Boem Club Music School and I wish you a lot of success in the future!”. “A course after which you leave with a smile, a course that remembers me from childhood, a course where all the daily problems disappear, even for an hour […] At the final of the lesson, I smile wide, as I haven’t done it much in recent weeks, I come home relaxed, as if I could have spent an entire day at the spa and in the evening I dream with open eyes, to a grand white piano”.